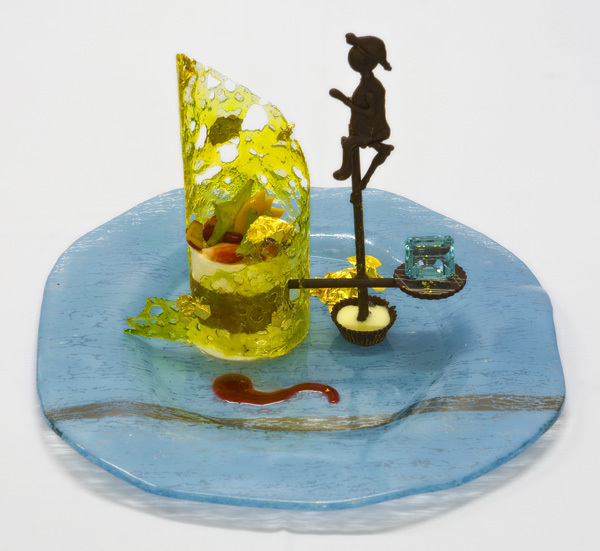 A truly unique culinary creation, ‘The Fortress Stilt Fisherman Indulgence’ is a one-of-a-kind dessert that unlocks truly rich flavours balanced to perfection. The ultimate inclusion for fine dining in Galle, this delectable delicacy draws its inspiration from a traditional fishing practice that is centuries old and can be witnessed along the coastline. Made on special request, the dessert features Italian Cassata flavoured with Baileys and is served with a pomegranate and mango compote. The tantalising base is a delicious champagne sabayon enlighten, while the crowning glory is the 80-carat aquamarine stone, placed below an exquisitely handcrafted chocolate stilt fisherman. An aquamarine stone is known to have special qualities including the ability to soothe, heal and bring about calmness. Its captivating blue colour is a reflection not only of the ocean, but also the life giving essence of water; it is little wonder that this stone has been used by fishermen and seafarers as both a good luck charm and a form of protection. Believed to bestow its owner with happiness, foresight and courage, the stone along with the dessert makes for the perfect gift to surprise that special someone.